Today I've lots to announce about Swedish sleaze rockers Crashdiet! These guys are really diligent. At first hey release a Live-DVD, named "Shattered Glass And Broken Bones" (release date: 04.12.2012), then a new Single ("Cocaine Cowboys", out on 14.12.2012) and last but not least we'll get the new album "The Savage Playground" (out on January 22, 2013). You can already pre-order the CD at the Crashdiet-homepage. 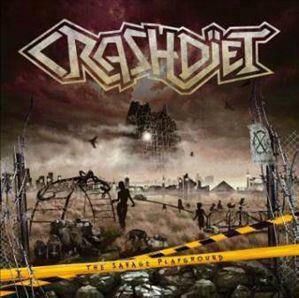 With Shakra, Shylock and now Crashdiet we'll get a rockin' start in 2013. Great!